The Chinese Shaolin Tongbei Chuan also known as the Tong Bei fist or “Spreading of the Power from the Back Boxing” in literally meaning is among the famous shaolin martial arts styles . The application of its Five Elements theory i.e. Wuxing Tongbeiquan will take the five elements to its core plus the back-through as the application. 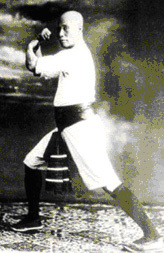 Back-through boxing is able to take the five elements of the Chinese philosophy as the basic theory. The philosophy indicates that heaven is the ecosystem and man is a small one but regardless of that the principles of the systems are the size without regard to the size. The five elements that are defined includes metal and wood, water and fire and finally earth, that of the human being include the heart and liver, spleen and lung plus the kidney. The boxing five elements on the other hand include wrestling and battling, piercing and axing plus boring. The boxing philosophies of China thus believe that everything that is in the world has its roots in the five elements hence all boxing schools will be based on the five elements. Its basic precepts are Daoist in nature plus its many training methods have the similarities with the internal styles. 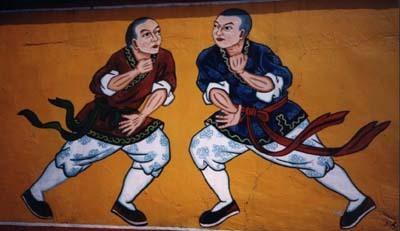 The traditional Tongbei fist training involves several parts that include the basic training which are(the Stance and the conditioning, the arm and the leg techniques), then combinations and two person in a free sparring, forms and weapons training plus the qigong training commonly known as the Chi Kung. 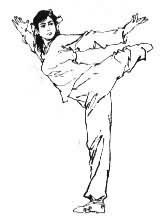 Tongbei Chuan training also emphasizes on both the combinations of the inner core and that of the outward application.